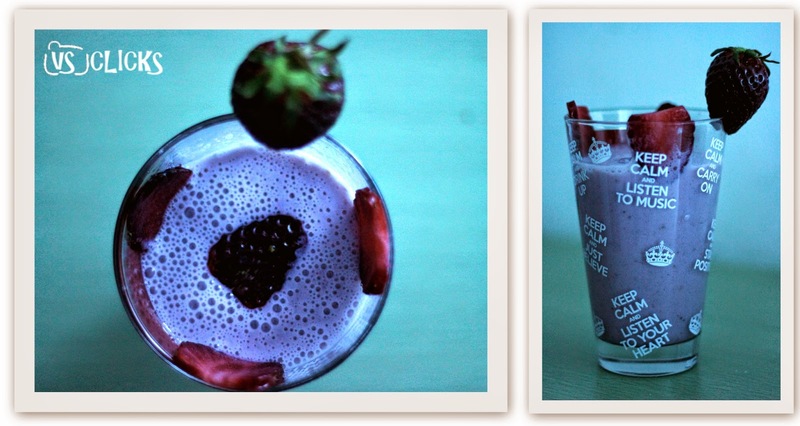 Vinayaka's Kitchen: Strawberry Milkshake How-to? 1. Boil the milk in a vessel and allow it to cool. Slice the strawberry into medium pieces and keep it aside. 2. 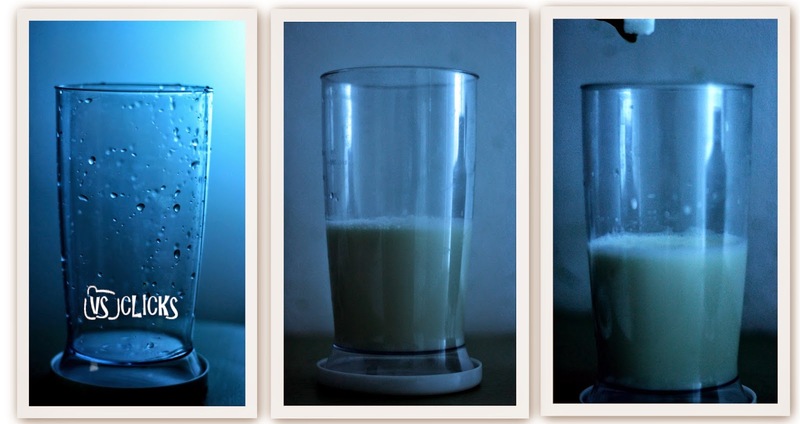 Transfer the milk into a blender jar, add sugar cubes and strawberry to it. 3. Blend the mixture well until it becomes smooth and thick. 5. Transfer it to a glass, decorate it with strawberry and serve it chilled. #Tips: You can also add a scoop of vanilla ice cream to milkshake or add whipped cream on top of milkshake to make it divine. Strawberry Milkshake is a great drink on a hot day. This drink is suited for all ages as the color attracts the kids and the taste make adults go mad with strawberry and for romantics like us, it lifts the mood. Since it is boiling in India, my brother asked me to post this dish and is certified by my hubby. Try it out and you are welcome to post the pics here. Thank you so much Rocky!